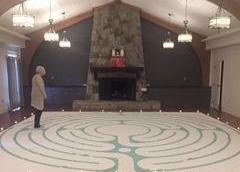 Join us in the parish hall to celebrate the arrival of our new labyrinth and to bless it’s work among us. Please bring a plated appetizer and beverage to share, as well as your own chalice. Contact Mo. Julia ([email protected]) for more info.